A decorated former Air Force pilot. A pregnant flight attendant. A dedicated TSA agent. 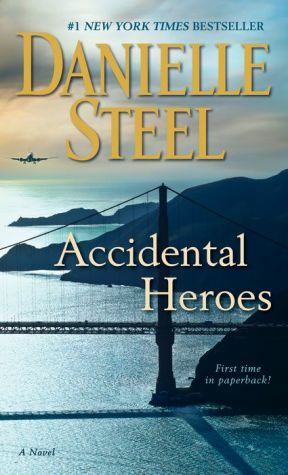 The fates of these three, and many others, converge in Danielle Steel's gripping new novel -- a heart-stopping thriller that engages ordinary men and women in the fight of their lives during a flight from New York to San Francisco. On a beautiful May morning at New York's John F. Kennedy airport, two planes have just departed for San Francisco -- one a 757, another a smaller Airbus A321. At a security checkpoint, TSA agent Bernice Adams finds a postcard of the Golden Gate Bridge bearing an ambiguous -- perhaps ominous -- message. Her supervisor dismisses her concerns, but Bernice calls security and soon Ben Waterman arrives. A senior Homeland Security agent, still grappling with guilt after a disastrous operation in which hostages were killed, Ben too becomes suspicious. Who left the postcard behind, which flight is that person on, and what exactly does the message mean?